California has just signed off on a deal that would allow a hedge fund to take over a chain of non-profit hospitals. It’s a big deal that could have huge implications for the state of California: state Attorney General Kamala Harris has agreed to let a hedge fund grab a bunch of non-profit hospitals. BlueMountain Capital Management has been given the go-ahead to invest in Daughters of Charity Health System, the first time a hedge fund has been given leeway to do so, according to a San Jose Mercury News report. In three years, the hedge fund would be allow to buy the chain of six hospitals outright. It will come with a bunch of stipulations, which are so onerous that it caused another hedge fund to back out last year Prime Healthcare Services had placed a $843 bid on the Daughters hospital chain last year but pulled out not long after when Harris asked for a number of contingencies, including that the hospital chain maintain its charitable purpose and continue to serve low-income Californians and provide them with “access to critical health care services, including emergency, trauma, surgical, and reproductive health services,” she said in a statement. Daughters of Charity Health System is a Catholic non-profit organization based in Los Altos Hills that runs six facilities in San Jose, Dale City, Moss Beach, Gilroy, and two in Los Angeles. The deal would require BlueMountain to keep at least five of the hospitals open over the course of the next decade, as well as maintain Medi-Cal contracts and services and maintain historical levels of charity care. 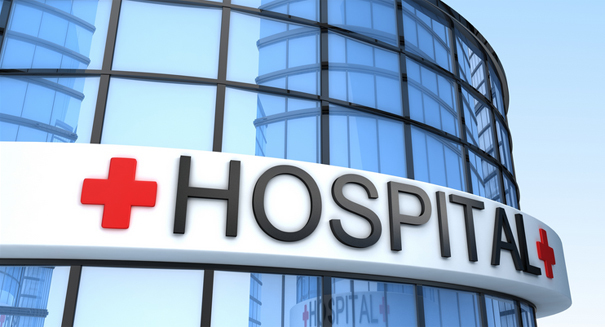 A total of 8,000 associates and physicians work at Daughters facilities. The sale is happening because of financial difficulties — the chain has been losing an estimated $10 million per month since last year.